Topeka Capital Markets analyst Brian White has released a new research report today outlining some of the takeaways from a recent trip to Asia to talk with companies in Apple's supply chain. According to White, chatter from those suppliers is pointing toward a larger 4-inch screen on the iPhone 5, which will also include a redesign bringing a "new, sleek look". In our view, this will be the most significant iPhone upgrade with a four-inch screen and a new, sleek look that we believe will require a Unibody case. This new, sleek look will be the most important reason that consumers decide to upgrade to the iPhone 5, while we believe the addition of 4G will also attract buyers of the new device. White notes that some suppliers are expected to begin ramping production of components in June, ahead of a launch in the August-September timeframe leading into a blockbuster final quarter of 2012. As in any discussion of a larger screen on an iPhone, the issue of screen resolution is certain to be a key sticking point. With the iPhone currently offering a 3.5-inch Retina display, an increase to 4 inches would require one of two changes: an increase in resolution that would yield difficulties for developers by adding yet another device size to the mix, or a decrease in pixel density that would maintain the current resolution but see density drop to roughly 285 pixels per inch from the current 326 pixels per inch. - Display issues have caused a bit of a bottleneck on supplies of the new iPad, but the shortages seem to be easing. Any small constraints on March quarter sales numbers would be compensated for by a boost to June quarter sales. - Suppliers suggest that a smaller "iPad mini" is still in the works, but launch timing remains unknown. - While the new iPad is not yet officially available in China, some resellers are already carrying the device. Speculation is pointing to a potential May release for the new iPad in China, although evidence for that timeframe beyond a recent regulatory approval appears scant. Nice to see MacRumors still getting their money's worth out of that ugly iPhone 5 mockup. LTE, bigger screen, 1 GB RAM ? 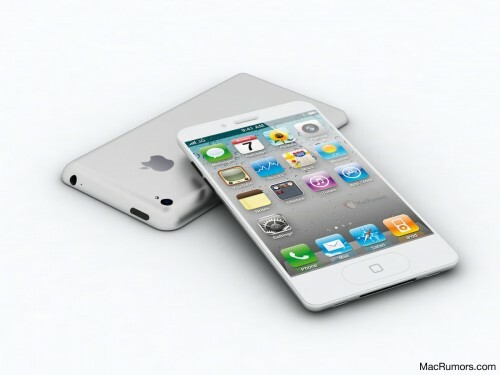 This might be the iPhone I've dreamed about. Wake me up in Oct! Did we fall into a time warp? Is this Fall of 2011 again or am I just experience deja vu? As long as the screen is 4" or larger, I'm all in! 3.5" is simply too small for power users. It's a phone! who the heck is a power user on a phone? larger screens do not increase productivity or make the user a power user (whatever that even means). Please can we can not call it iPhone 5 anymore! You're fighting an uphill battle. Just deal with it. LTE, bigger screen, 1 MB RAM ? So same speculation from this time last year. How many times can the word "sleek" be used in a single article? If it doesn't have LTE Advanced, it is not 4G. The ITU changed the definition of 4G to include both LTE & WiMAX back in 2010.